Today for lunch I wanted something spicy and creamy. I had a can of coconut milk in the refrigerator and some shrimp in the freezer from testing Robyn Webb's Curried Shrimp Sandwiches. Here is the Coconut Shrimp Soup I invented. 1. Heat the oil in the pan. Add onions and carrots and cook for a few minutes. 2. Add garlic and ginger and cook for about 5 minutes, or until the vegetables are tender. 3. Add in the spices (don't forget salt!) and curry paste. Cook for a few minutes. 4. Add coconut milk, water, vinegar and peas; bring the mixture to a boil, add shrimp and cook for a few minutes until the shrimp is cooked through. 5. Add in lime juice. 6. Put some of the cooked noodles in a bowl, top with the shrimp soup and enjoy! If you have fresh cilantro, use it. Confession time: Originally I added shrimp before adding in the coconut milk and water and cooked them for about 3 minutes. The shrimp turned out rather rubbery: that's why you should only add them in the last 2 minutes: see, aren't you glad I made the mistake so you don't have to? Yesterday was the 3rd or 4th Thanksgiving I've spent with Cindy and her family. Cindy and I have worked together and have been friends for the last 7 years, and I'm considered to be an older adopted cousin: no complains for me. This Thanksgiving, Anna came with me, and we were in charge of making cranberry sauce. 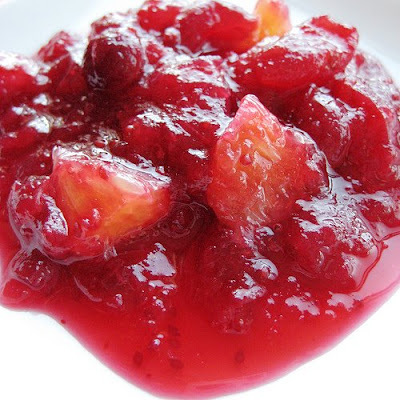 This was not to be your regular cranberry sauce because Cindy decided to have a pomegranate theme this year. I'm not a fan of chewing the pomegranate seeds, so Anna came up with an idea of using pomegranate juice make the sauce. 1) In a heavy bottomed large pot bring sugar, water and pomegranate juice to a boil. 2) Add cranberries, bring back to a boil, lower the heat and cook 10-20 minutes, adding the apples in the last 5 minutes. 3) Once the sauce is cooled, stir in the oranges and serve. Note: after taking the photo, I decided to add a dollop of cool whip to the sauce: unbelievably good combination of textures, flavors and colors [I was too busy eating to take a photo]. Yesterday I wanted something fancy for breakfast because it was Thanksgiving and I had a day off. I decided to make asparagus with poached eggs. Unfortunately, I did not have any butter to make Béchamel sauce, but I still wanted something caloric....and then I had a light bulb moment! The concept for the sauce below was born entirely from the ingredients I had on hand. If you don't have sour cream, just add more mayonnaise or plain yogurt. If you don't have buttermilk, add a bit of milk or water, or use more lemon juice (you are basically using the liquid to thin out the sauce). This sauce would be great on poached salmon, in a potato salad, or as a dip for your crudités platter. Whisk all ingredients in a bowl and adjust the seasoning. And now back to my breakfast: Anna blenched asparagus, I poached some eggs, toasted a few slices of wholewheat bread, and we were ready to eat! A few notes: to poach the eggs, make sure to add some white vinegar to your poaching liquid to help the eggs "keep it together." When blenching asparagus, remember to salt your water very well, and only blench asparagus for a few minutes if not less...everything depends on how young the asparagus is. The best part of this breakfast is breaking the yolk and seeing all the yellow goodness spread over the asparagus: mix that with the creamy caper & dill sauce, and don't forget to dip your bread! Tomorrow is Thanksgiving: plenty of comfort food. But what's for dinner tonight? 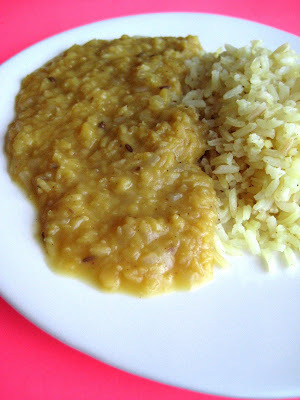 I decided to make a simple Indian combination of rice and red lentils. The whole dinner takes less than 40 minutes to make, but you'll have to multitask. The flavors of garlic and ginger wake up your spirits in this cold weather, and the lemon juice freshens up the entire dish. 1. In a medium sized pot heat 1/2 oil and add 1/2 of cumin seeds. Let them sizzle for a minute, add basmatti rice, coat it with oil and saute for a few minutes. 2. Add 2 cups of water to the rice mixture, bring to a boil, cover, lower the heat and cook for about 20 minutes. 3. Meanwhile, in a separate pan heat the rest of the oil, add the remaining cumin seeds and cook for about a minute until the seeds release their flavor, but do not get burned! Add ginger and garlic and cook for a few minutes. Add the finely chopped onion and cook for about 5 minutes. 4. Add rinsed red lentils, 3 cups of water, curry powder and chili powder. Bring the mixture to a boil, cover, lower the heat and cook for about 30 minutes. The lentils should be soft and soupy. Add lemon juice as soon as you turn off the heat. 5. 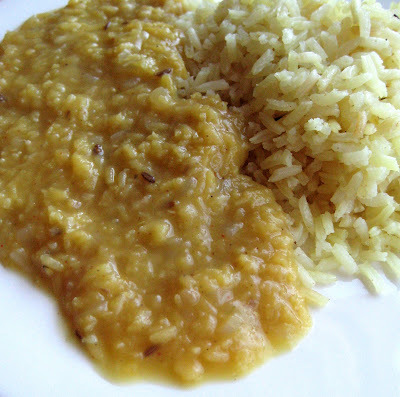 Spoon some of the cooked rice in the bowl and top with the lentil mixture. 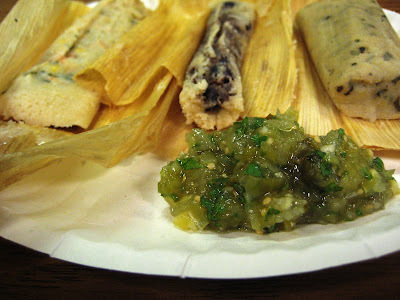 If you have fresh cilantro, definitely use it! 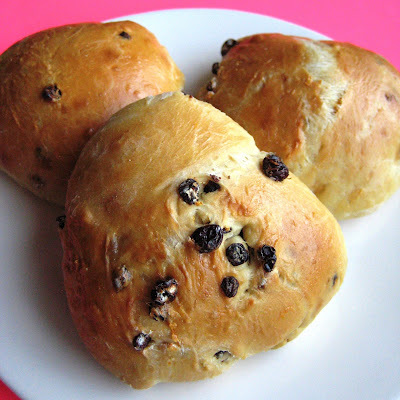 Make your scone dough and then use a 1 inch biscuit cutter to make mini bite-size scones. 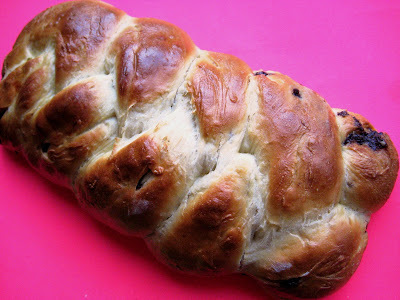 You can make this recipe with currants and lemon zest, or any other dried fruit, chocolate chips, orange zest, or just keep them plain. If you cut down on sugar, you can make them savory by adding fresh herbs and cheese. These scones are perfect for breakfast, brunch, or as a snack. They were quite a hit at Jason's Cranium night. Cutest Mini Fruit Tarts Ever! This past weekend I was testing a fruit tart recipe for Robyn Webb, and it came out incredibly well! 3) Fill the tarts with the filling (mixed with whipped topping) and top with a variety of berries. I used strawberries, blueberries, raspberries and blackberries. What's for breakfast? That's something that I give a bit more thought on a weekend rather than on a weekday. This past Sunday I made green eggs with feta. Green eggs? Like from Dr. Seuss? Well, not quite. Here's what I did: in a mixing bowl, whisk together two eggs, a bit of water and 1 heaping tablespoon of pesto. In a non-stick pan heat a bit of olive oil and quickly saute a good pinch of red pepper flakes. Lower the heat, add the egg/pesto mixture, and let it cook till the eggs are pretty much set. Top with crumbled feta and add a dollop of adjika (or you can use hot salsa). Enjoy! 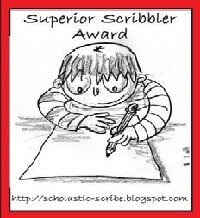 Esi from Dishing Up Delights gave me a Superior Scribbler Award: THANK YOU! 2) Where’s My Damn Answer? After a super mediocre dinner last night, I did not feel like eating oatmeal for breakfast, and went downstairs to the cafeteria to see what I could find. I ended up buying some eggs and kielbasa with peppers and onions, and also bought a bottle of Honest Ade Pomegranate Blue. The eggs were super dry, but the sausage and peppers/onions were pretty good. What I really liked, though, was the tea! I've had several flavors of Honest Tea before, but wasn't too impressed with them. The Pomegranate Blue variety, however, truly tastes like pomegranate and has just a bit of sweetness and none of the artificial after-taste. Plus, there are only 100 calories in the 16.9 ounce bottle. The nation's first organic pomegranate drink combines the antioxidant power and great taste of pomegranate and blueberries. It's got fewer than half the calories of those other pomegranate drinks so it has a light, refreshing taste that has everyone asking for more. 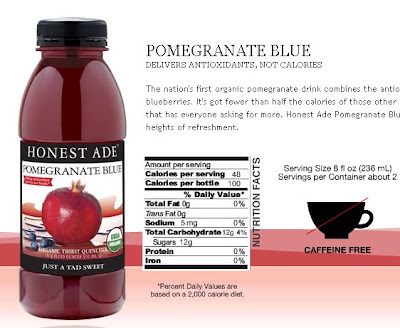 Honest Ade Pomegranate Blue takes the power of the pomegranate to new heights of refreshment. Certified organic by the USDA. Got get some to quench your thirst. 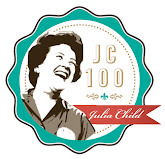 Image courtesy of Honest Beverages website. 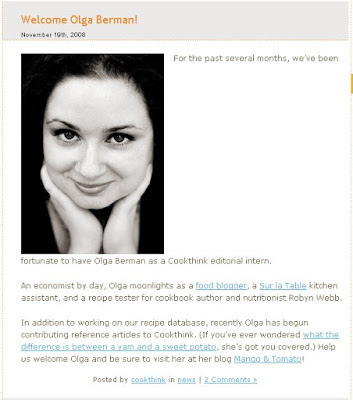 Ironically, as soon as Cookthink published a little blurb about me, my internship with them has ended. 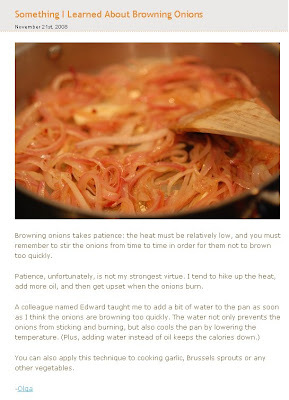 Today, perhaps as the last hooray, they published an article I wrote for them about browning onions (a trick I learned from Edward at Sur La Table). What happens when you are not satisfied with dinner? It is 9:30 pm...I've had dinner, I've had a snack, and there was also a bowl of tuna with defrosted corn...but I'm still hungry and want to eat something satisfactory...alas, there is pretty much nothing in my house. I think that's what happens when I'm not happy with dinner. Today after work I made pasta with roasted red peppers, corn, goat cheese and spinach. It wasn't horrible, but it definitely did not hit the spot. So then I had some tuna....and then an apple with some peanut butter...and still I want something else. 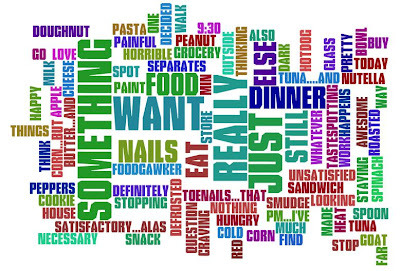 The question for you then is What do you do when whatever food craving you have is unsatisfied? Do you just go as far as necessary to buy that one doughnut or hotdog? Or do you just find something else to do to stop thinking about food? I decided to paint my nails and toenails...that way I really can't eat for a while (don't want to smudge my nails). Growing up, my parents often made stuffed peppers. 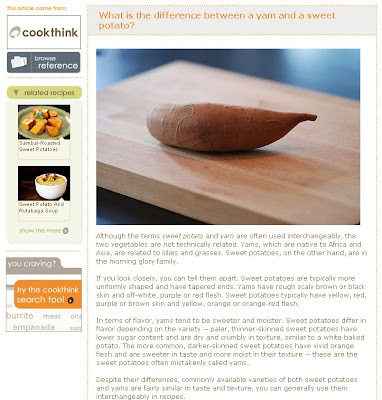 It is a very homey, comforting dish. You can stuff the peppers with a combination of rice, ground beef and vegetables. My parents differ in the final step of the preparation: my dad likes to cook the peppers in tomato sauce, but my mom very much dislikes the tomato sauce. Last year I made a basic version of stuffed peppers and in the Spring I made Quinoa Stuffed Peppers. On Tuesday I stayed home from work and decided to make a quick dinner before meeting up with Anna's friend Wendy, and of course Anna, for lunch and dessert. Instead of stuffing the peppers, I made each part separately, and then combined everything for a simple, but flavorful dinner. 1) Cook ground beef, seasoning it with all spices but basil and oregano. 2) Remove cooked ground beef from the pan, leaving a few teaspoons of fat in the pan. Add green peppers, red onion and garlic and cook until the tenderness you want (I left my vegetables with a bit of a bite). Again, season the vegetables with all the spices but basil and oregano. 3) Meanwhile, cook yellow saffron rice according to the directions on the package. 4) In a small saucepan spike up the crushed tomatoes with basil and oregano. Add a pinch of sugar for a bit of sweetness. 5) Once everything is cooked, spoon the rice into a bowl, top with ground beef and vegetables and feta, pour a bit of the tomato sauce around. Time to eat! The flavors worked very well together because the same spices were used in the ground beef mixture and the vegetable mixture. Keep in mind this is a very versatile dish: you can use the sauce and the ground beef mixture the next day in a pasta dish. You can use the vegetables in an omelet or to top off polenta. 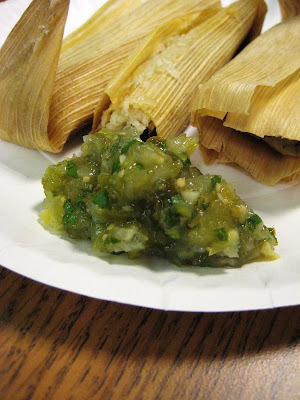 This lazy dish also reminds me of a lazy stuffed cabbage recipe my mom makes quite often. You make a mixture of white rice, ground beef and carrots, and instead of stuffing it into the cabbage leaves, you shred the cabbage and cook it with the rice, ground beef and vegetables. 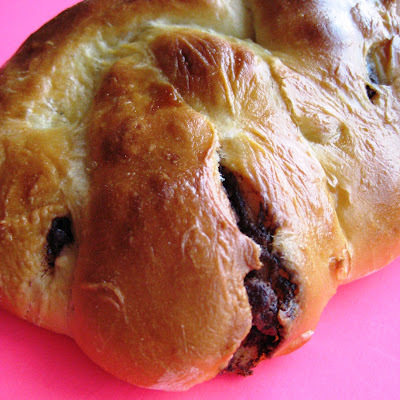 The flavors are the same as in the original version, but you save yourself so much time! 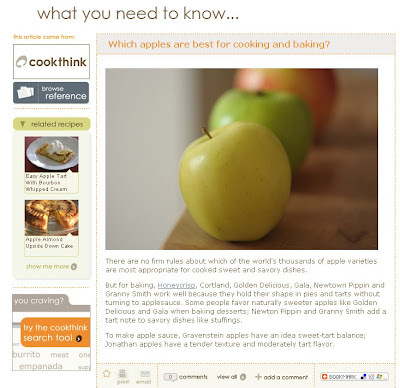 I have been waiting for this day for a bit over two months now: that's how long I have been interning with Cookthink. Today they put a really cute shout out to me on their website. YAY! P.S. Photo courtesy of my friend Stacey. After an awesome lunch at Yamazata with Anna and her friend Wendy, we wanted dessert. I remembered hearing about a relatively new bakery called Buzz and suggested we try it out. Luckily Wendy had her handy iphone and was able to find the address. Buzz is absolutely adorable. This is definitely not your cookie-cutter Starbucks. The atmosphere inside was happy and the style was eclectic. From the exposed pipes right below the ceiling, to the baking tools decorating the walls, you could tell this was one-of-the-kind bakeries. And, of course, there was the dessert selection: where does one even start? I ended up choosing a turtle cheesecake and was not disappointed: the cheesecake was smooth and rich, topped with whipped cream, walnuts and chocolate sauce: delicious! Anna chose the Buzz cupcake: it was pretty good, but definitely not mind blowing. Wendy went for the chocolate bread pudding: the texture reminded me of flourless chocolate cake, but it was definitely not as reach. At the end, I think I chose the best dessert :) Oh, and they also have free WiFi: what else can you ask for? 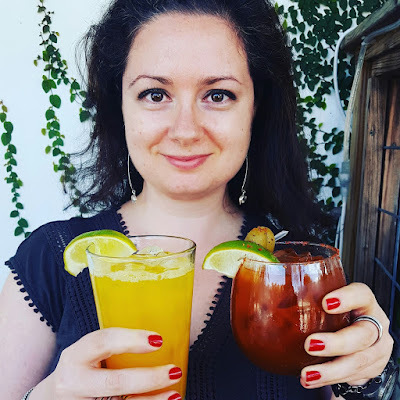 Next time you are around Potomac Yards neighborhood in Alexandria, definitely check out Buzz: you'll be buzzing about it to all of your friends. P.S. next door to Buzz there is a Russian food store: we spent $30 on jarred and canned goods that brought memories from our childhood: marinated tomatoes, chocolate candy, Israeli mini croutons (ok, that brought memories from my visit to Israel), sunflower oil, marinated pattypan squash, and sour cherries. Do you love beets? 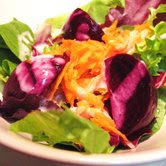 If you do, here is a great idea from Robyn Webb: roasted beet salad with fresh greens (the store did not have arugula), shredded carrots and goat cheese dressing. Really, really good! You could also add nuts, use feta or blue cheese instead of goat cheese, or make a balsamic vinegar dressing.